I paused, straining to hear voices echoing inside the house. Yep, they were in there. I ushered myself in to the kitchen–living room area, greeted by warm, familiar—and a few new—faces. Everyone gathered around the stove and a pot of aromatic chai, a staple at the McGovern household. After introductions, the noise quieted as people began to pick up their gear and head for the door. We moved from the warmth of the kitchen into the entryway, through the garage, and out into crisp winter air. 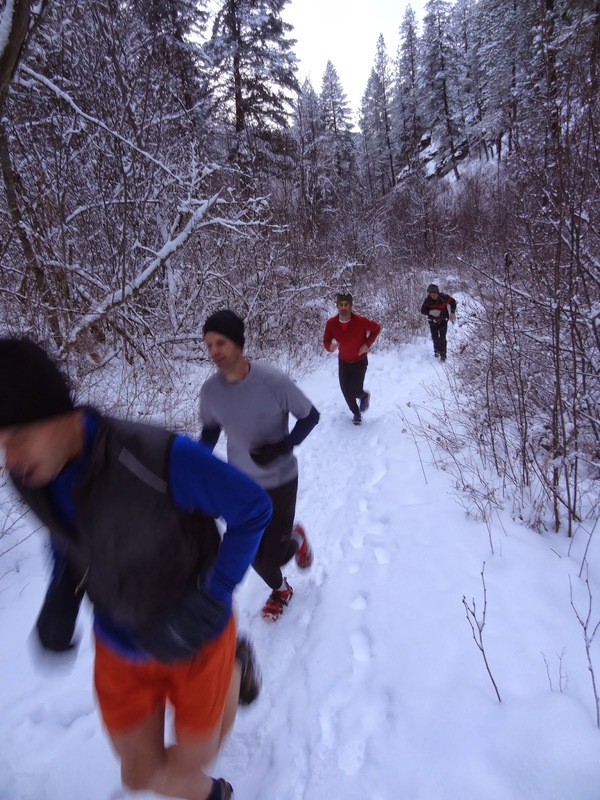 I had joined one or two Sunday Runs several months previous when it was still warm and dry, but on this morning I felt initiated. I woke that morning determined but not enthused to arouse myself in the dark-minus-10-degrees air. I questioned whether anyone would show. But here we were, 8 or so, bundled up. A bit of cold and ice wouldn’t keep this party from happening. These group runs have been happening for a long, long time; 19 years, in fact. Several decades ago Dean McGovern spent a two-year stint in Japan where he had been running with a group every Sunday morning. The Japanese are, after all, a people who value group solidarity. 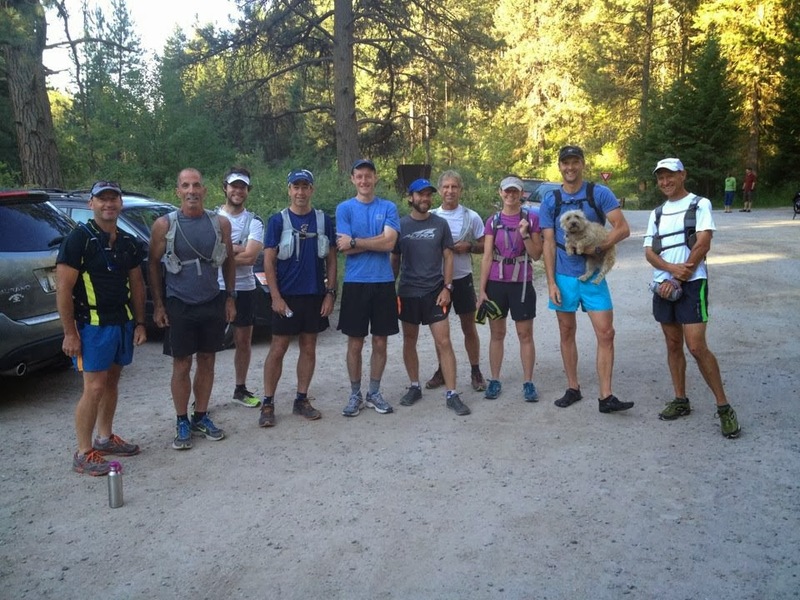 He became so accustomed to the practice that he continued it upon his return, organizing his own group runs launched from his home in the Rattlesnake. And so for years the runs are religiously held unless Dean happens to be out of town. Religious might be an appropriate word. 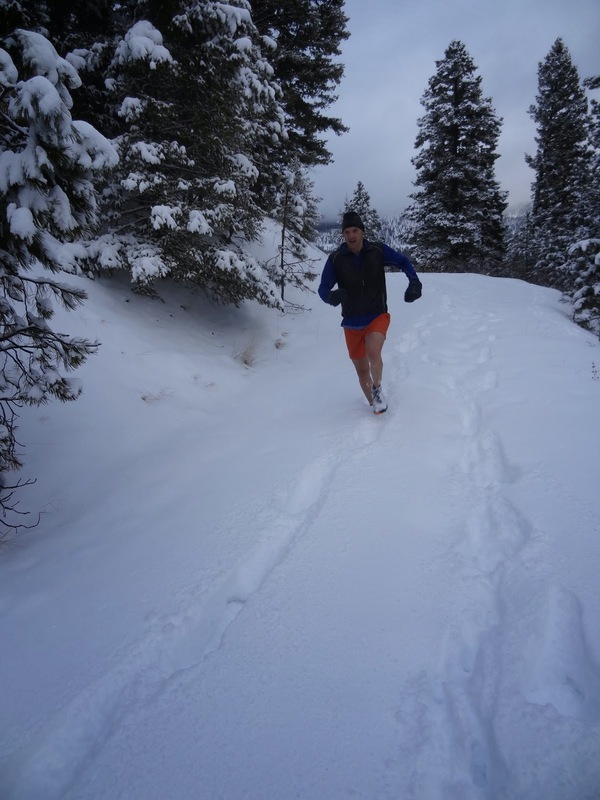 These runs, I’ve heard others say, provide a preferred alternative to churchgoing. Nature is the cathedral; Dean, the High Priest. 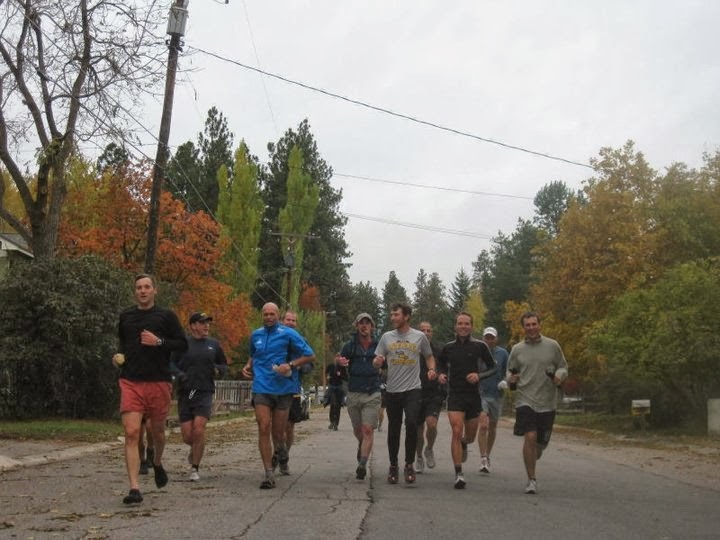 The “congregation” on any given Sunday fluctuates from as many as 15 running folks to as few as one or two. Dean’s a fixture here in Missoula. He and Amy, his wife, are good people: welcoming and warm and engaging. Both are outgoing and charismatic, as well as supremely approachable. Salt of the Earth, to invoke another religious reference. Dean’s been running for a long time, but only in recent years has he upped his mojo. He heads the best damn pacer corps around in the Missoula Marathon, he runs across the Bob Marshall without so much of a hint of fatigue or stomach trouble (“I felt good,” he told me afterward), and he takes on 100 milers like nobody’s business, including 2013’s Cascade Crest 100 and the forthcoming Bryce 100. Given his emergence on the ultra scene, Dean’s Sunday Runs are a bit longer than they were in the early years. 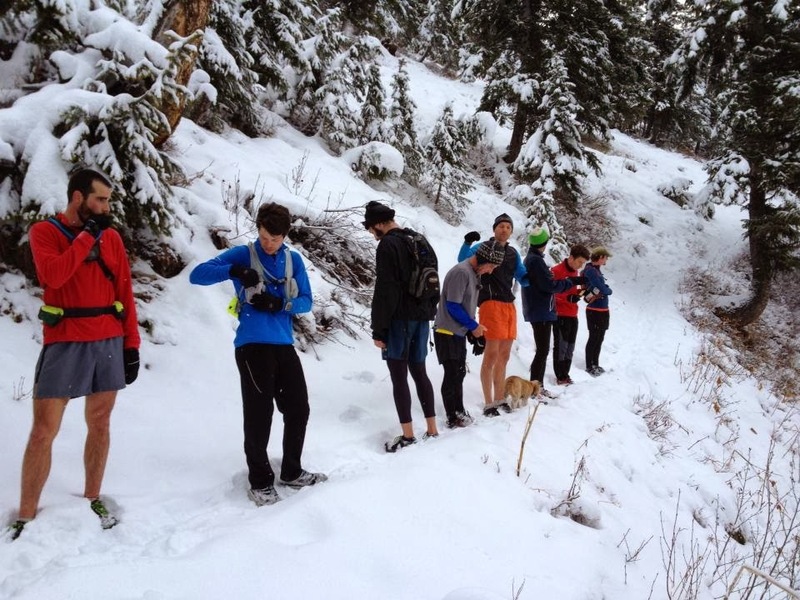 Show up prepared for hills, trails, and double-digit miles. 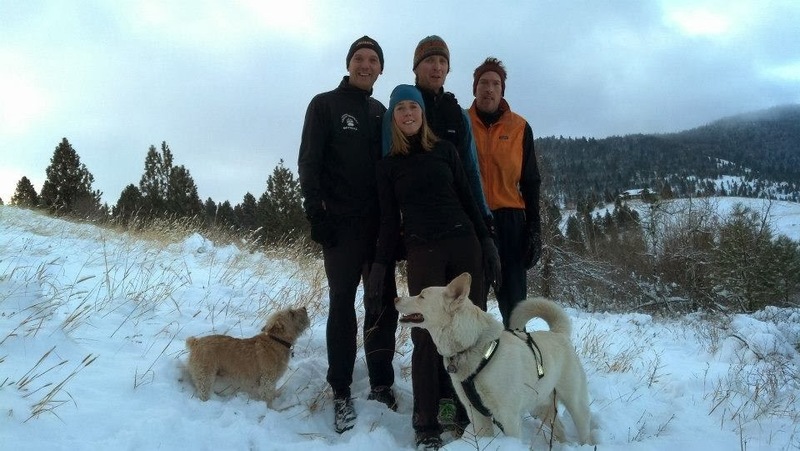 Our Christmas run (which fell on a Sunday this year) took us up Woods Gulch, down Marshall Canyon (where in the upper canyon we broke tracks), under the freeway and along the river trail, parallel the railroad tracks, and then back up Rattlesnake. 15 miles, at least. 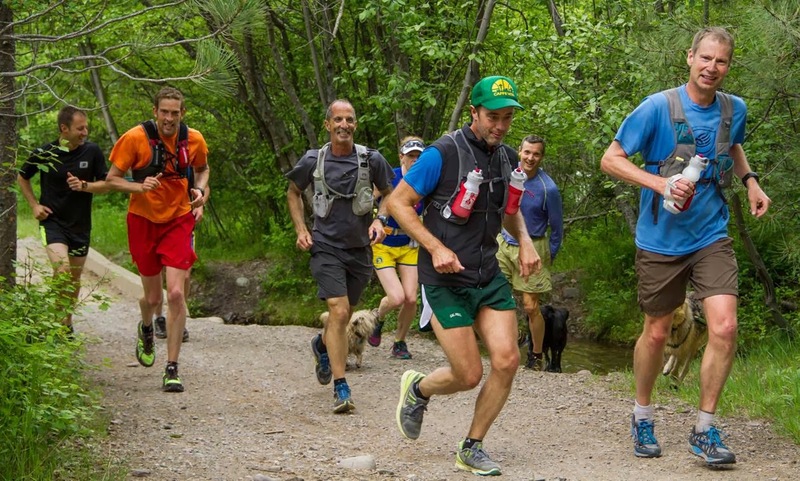 But members of the group routinely turn back early or make a shortcut if a loop is involved, as happened that Sunday: of the 8 runners that began the run, only four went the entire distance. Turning back early is perfectly fine. Leaving someone behind is not. 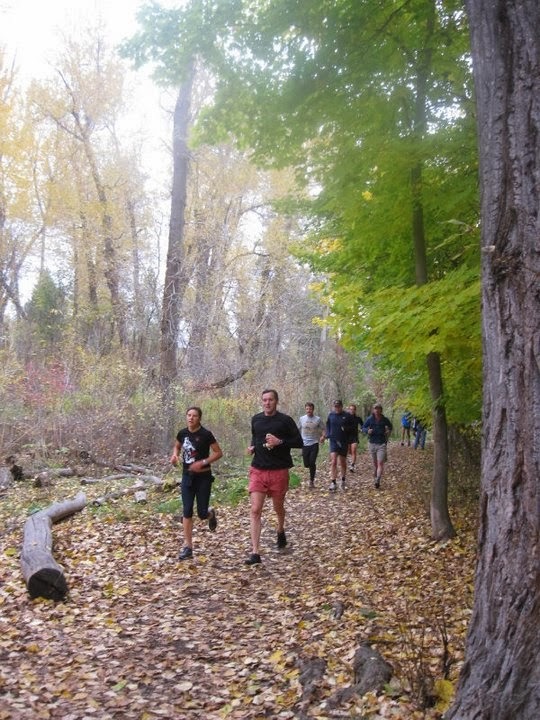 The Sunday Run is about social interaction as much as running, so the pace is always conversational. Which explains why the people who go seem to be such good friends and seem to enjoy themselves—even in the blistering cold. 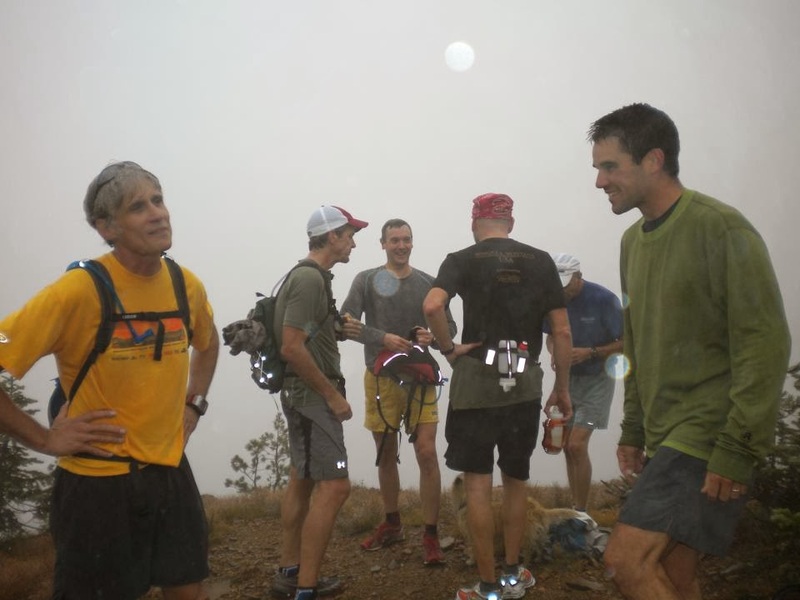 This Sunday Run featured a welcome surprise: Kevin Twidwell's aid station. We broke bread and Gu (Hammer Gel for me), sharing in the bounty that sustains our bodies and our souls. I asked Dean about memorable runs. He recalled several close encounters, like the time the group came to a bend on single track to confront three bears feeding on berries. When the first runner stopped suddenly, the following runners bounced off each other, like dominoes. 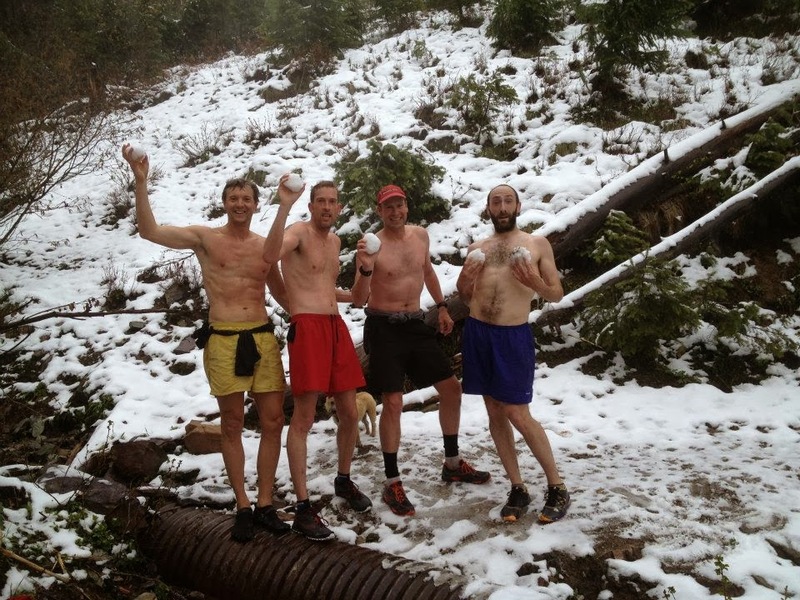 The group has been loudly scolded, by bathrobed mountain men, for running too close to private land. They once got chased off the far north end of the Missoula dump site by an unimpressed employee in a large dump truck. Just last month the group came upon a pack of hunting dogs that had treed a mountain lion. That day didn’t end well for the lion, but its not a run anyone will soon forget. 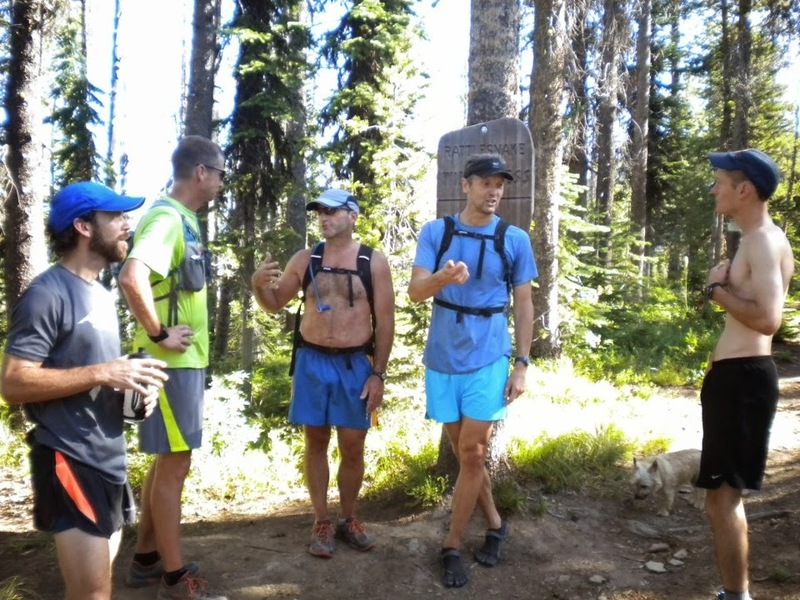 Sunday run has taken its runners up Sentinel, Jumbo, Stewart, Mosquito, and Mineral Peaks, Point Six, as well as Blue, University, and Sheep Mountains. 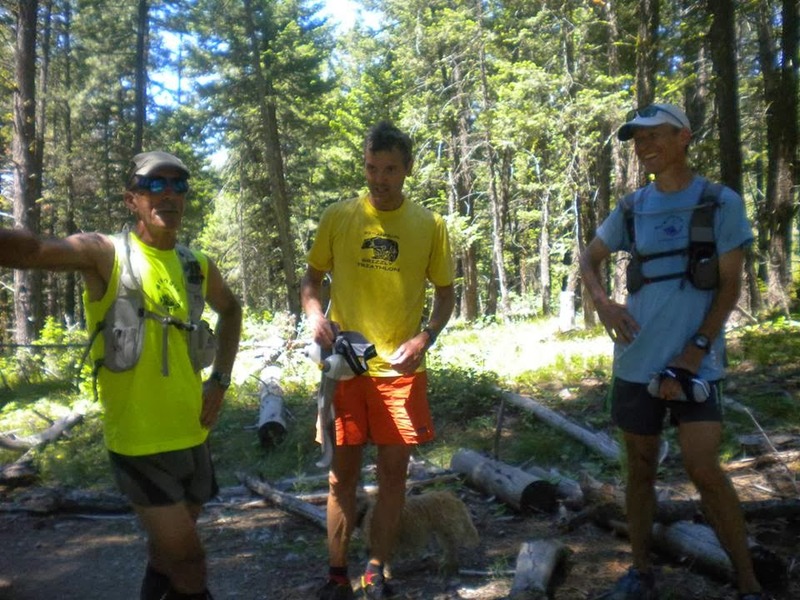 Sunday runners have come and gone through the years. 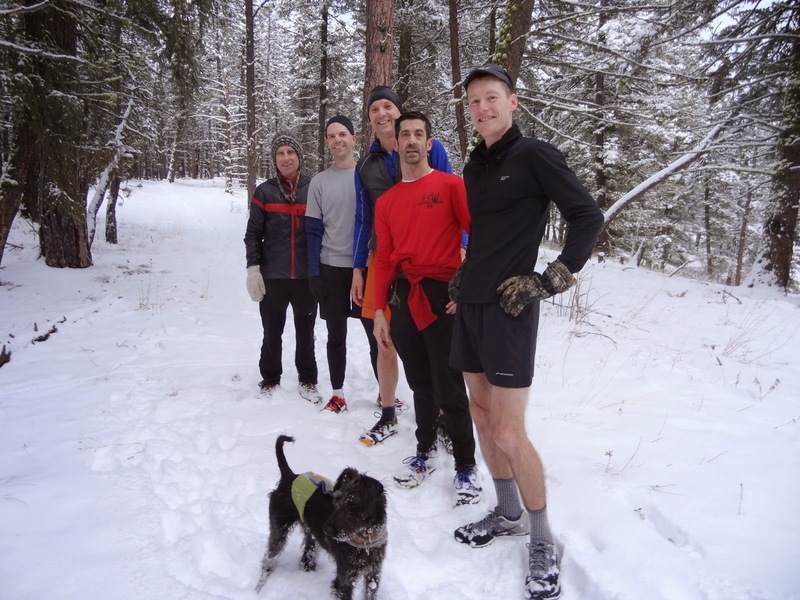 Many regulars have moved away from Missoula and still find their way back to run with the group on Sundays when they’re visiting. Romances have sparked on Sunday runs. 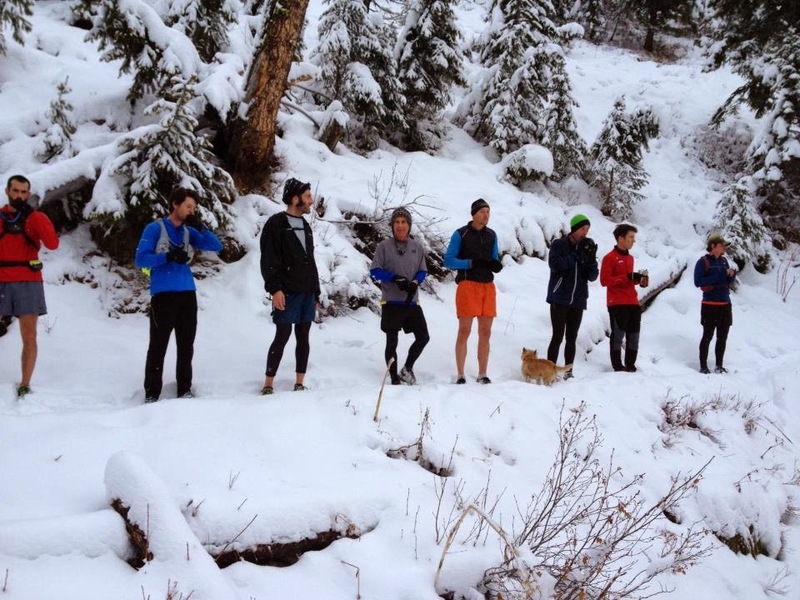 Fast friends have met on Sunday runs. Great adventures and misadventures have taken place. 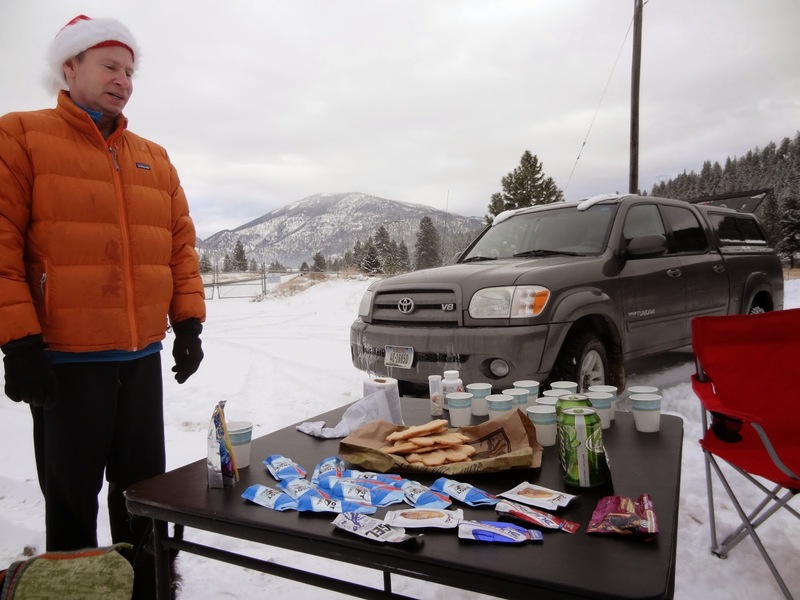 Recently, Rick Wishcamper was stopped by a motorist during a Sunday run and asked to dinner. Turned out the woman driving the car mistook him for her adult son; but the invitation stuck even after she was informed of her error. These last months, the chill and ice of winter produce the memories--of stinging wind against bare cheeks, of breaking fresh tracks. 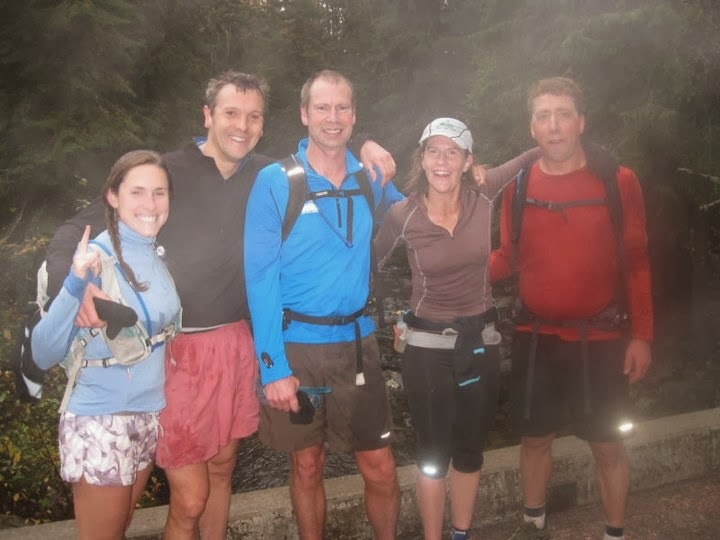 Very often the experiences are profound: venturing into the backcountry surrounded by friends and exquisite beauty can be breathtaking and spiritually uplifting. Very often I run alone. I revel in the solitude of the trail. But I also find peace in community and friendship and camaraderie. Thank the religious gods for the Sunday Run! I tried looking on line and found no results on the proper tipping amount when you come across an aid station like the one pictured above. $3, $5, $10????? A big wet kiss will do!